Come by our dealership to check out our huge selection of quality pre-owned trucks in models. When you purchase with us, you also purchase peace of mind with our JustTrucks.com advantage. 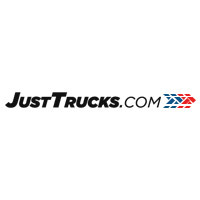 At JustTrucks.com we believe we're all created equal and everyone deserves a second chance regardless of their past credit history. When you’re itching to get behind the wheel of a used truck in the Tucson area, come to JustTrucks.com. Our team is ready to help with the superior customer service that you deserve. Thanks to extensive training and years of combined experience, the staff at JustTrucks.com dealership knows trucks inside and out. When you’re ready to finally experience a quality pre-owned truck in Arizona, give us a call or stop by. We are located just a short drive from Valencia West, Catalina Foothills, & Casas Adobes.